Written by Brook Reilly. September 8, 2015. 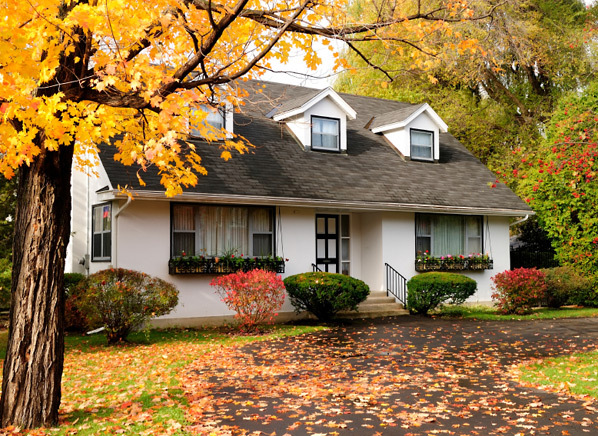 If you're preparing to sell or rent your home, one of the most overlooked aspects is curb appeal. With the Cleveland summer season coming to an end any updates to a home will add value and be more attractive to potential buyers or tenants. Landscaping- Get your yard tastefully landscaped to enhance the quality of your home. Exterior Lighting- Install exterior entry lighting to make the most of what you've got, complementing your home's architecture, increasing security, and helping guests navigate their way to the front landing. Porch- Add a porch to your home and you will not only increase your home's curb appeal but also add hours of enjoyment for your family. Railing and Steps- If your front steps are plain or worn, transform the entry by replacing your deteriorating railings and steps. Your Front Door- Door replacement is another great option. This is one of the simplest and cost-effective ways to improve your home's curb appeal. Windows- Fitting new windows is a great way to update your property’s facade, and, depending on the age of your home, it doesn’t have to be too complicated. Roofing- On the exterior, cracked, missing shingles and bald spots can indicate significant damage. Signs of wear, missing gutters and loose material are also common signs that a roof has outlived its use. Siding- If the outside of your home is beginning to look weathered, siding can be a cost-efficient way to update its appearance. Hinges and Screen Doors- Screen doors are one of the best ways to enjoy nature while still maintaining a pest-free environment in your home. Replacing hinges is one way to be sure the screen door closes every time someone uses it. Scrape and Paint- An exterior paint job increases your home’s curb appeal and helps protect its trim, flashing and siding from damage from the elements. It’s a great idea to use more neutral colors when choosing a color for the exterior of your home, to capitalize on first impressions. Don't want to tackle all of these jobs alone? Cleveland’s Reilly Painting & Contracting can take care of it all! Give us a call today to schedule an estimate. Filed under: Common Household Repairs, Gardening & Landscaping, Home Mechanic Tips, Painting & Remodeling.